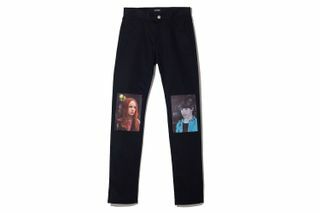 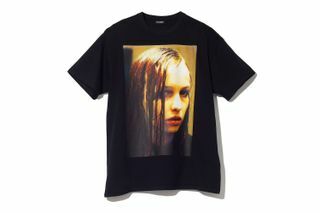 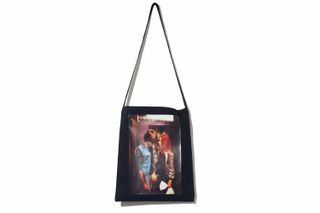 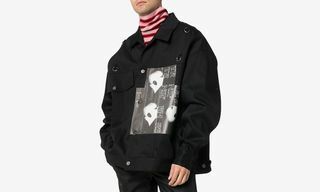 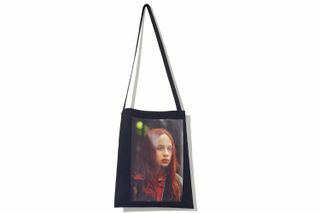 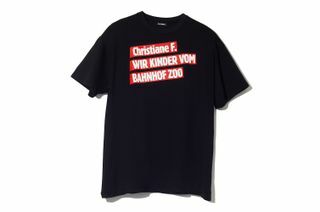 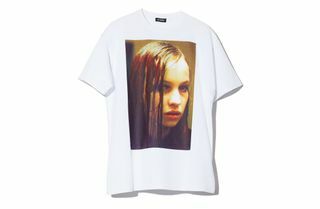 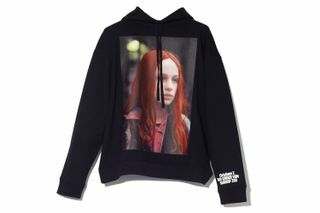 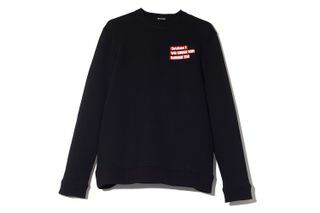 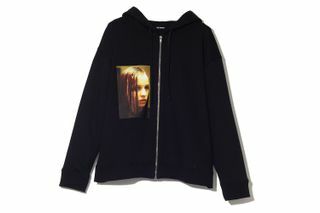 Raf Simons debuted a drug-fueled FW18 collection during NYFW in February, and notable pieces from the range, specifically referencing the classic 1981 film, Christiane F: Wir Kinder vom Bahnhof Zoo (We Children of Bahnhof Zoo) are now available to purchase. 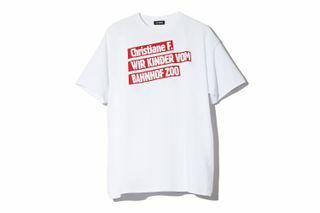 Based on Christiane Vera Felscherinow’s autobiography, the movie was set in the late 1970s in Cold War-era Berlin, depicting the tale of Christiane F. and the opioid crisis that slowly hit the German capital. 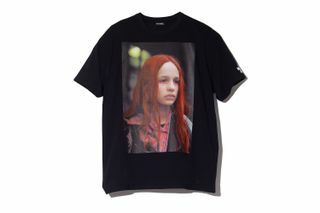 The film was plagued with a bleak depiction of child prostitution, uncontrollable drug addiction and death. 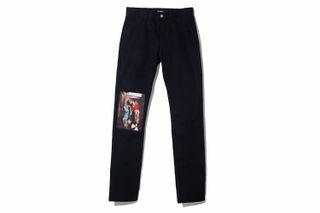 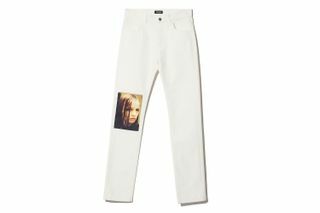 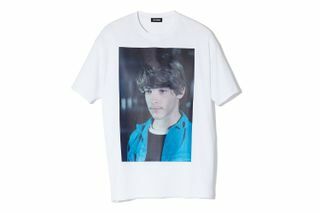 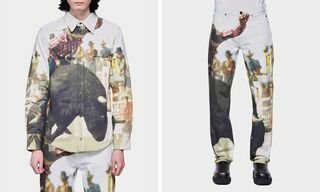 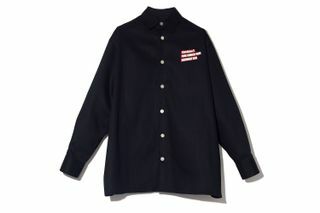 The overall lineup of apparel featuring stills of scenes from the film encompasses tees, jeans, jackets, hoodies and tote bags, all of which can be found at Raf Simons’ online store now and select retailers globally. 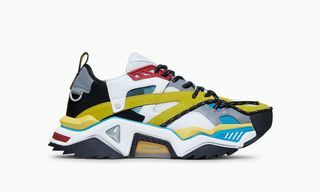 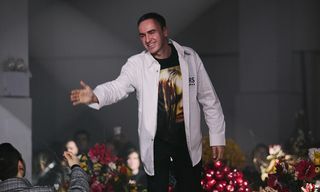 It’s also worth noting that with this project, Raf Simons will support organizations that help those in recovery from addiction. 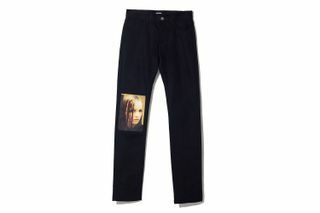 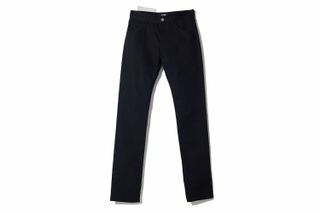 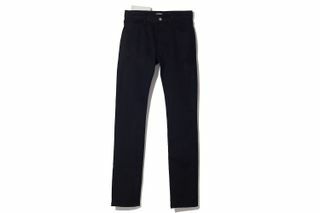 Prices range from $443 USD to $1,080 USD. 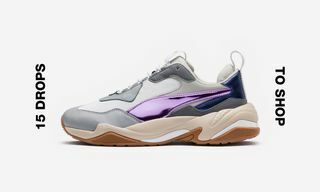 Also, you can now cop Raf Simons’ Belgian heritage-inspired Ozweego.